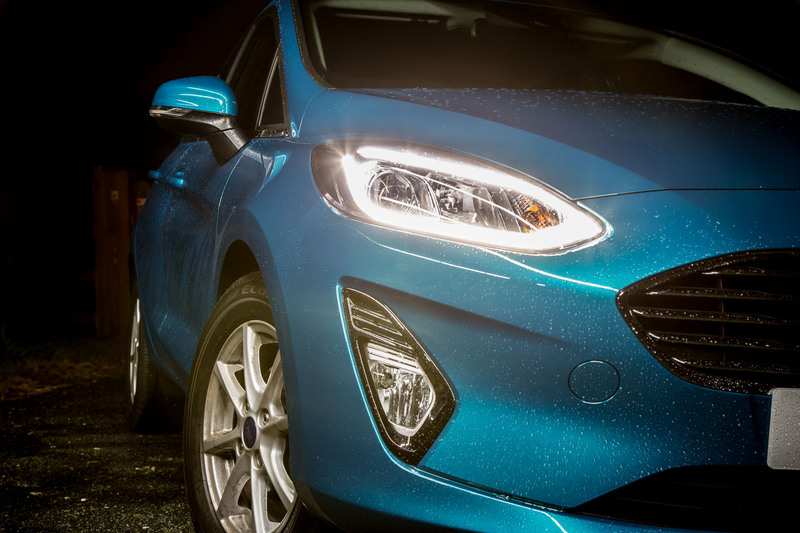 This time around, I got the chance to try out the all-new Ford Fiesta, and here are my thoughts on this global hatchback. 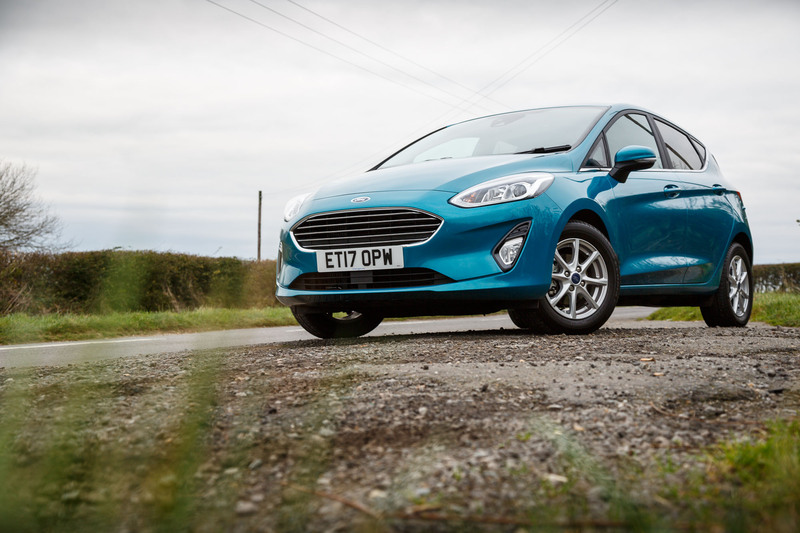 What is the 2017 Ford Fiesta Zetec 1.0-litre EcoBoost all about? For a long time, if you wanted a fun and practical but very small car, the answer was apparent: Ford Fiesta. It was the epitome of ‘jack of all trades’ in the automotive world, it did everything quite well, and really had no glaring faults. Something it did even better though, is bringing attention to the world of the term ‘EcoBoost’. It’s the engine that really disproved the fact that small, eco cars had to have dreary engines that barely handles itself, much less a car to be economical. 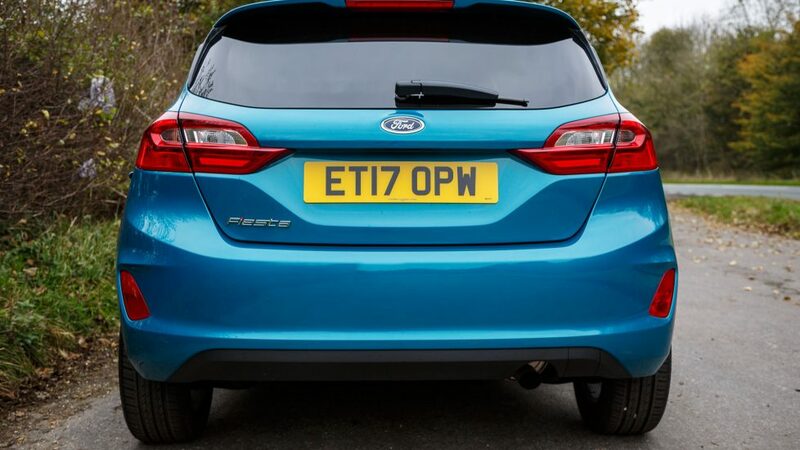 In fact, nowadays, I’d say it’s more common to see a Fiesta with a turbocharger or the ‘EcoBoost’ badge than it is an naturally aspirated one. 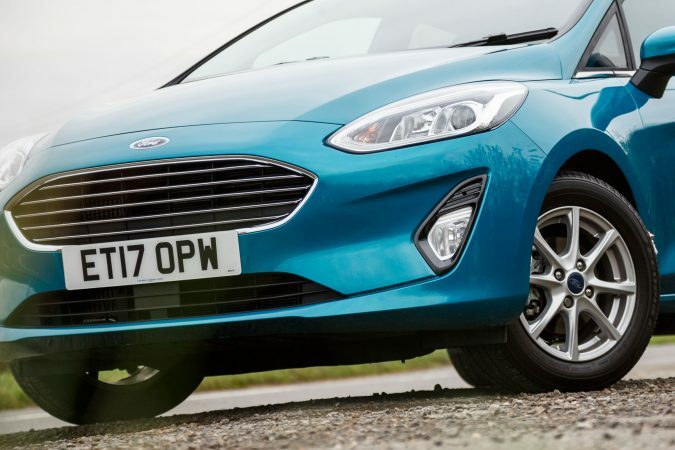 That says a lot about the success of the EcoBoost engine, and puts a lot on the shoulders of the new Ford Fiesta EcoBoost. 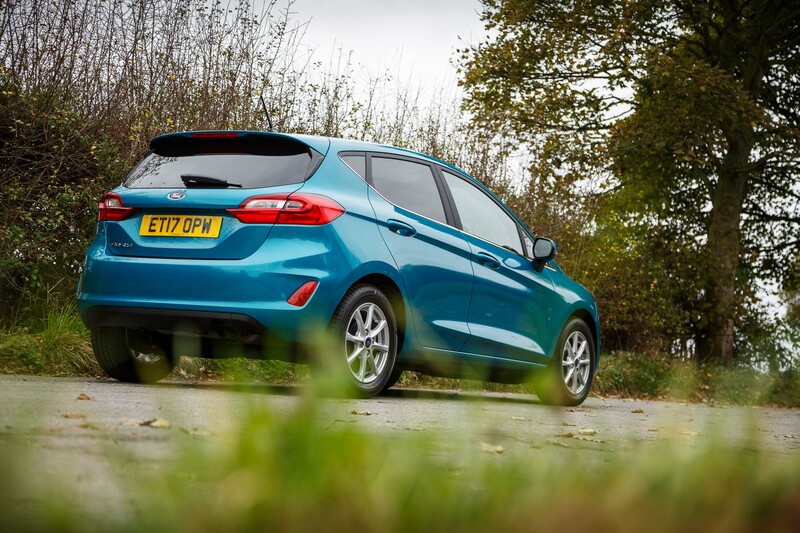 In terms of styling, there are minimal changes made to the new Fiesta from its predecessor. Unlike contemporary car design, the new Fiesta has lost a bit of edge from the previous model, with Ford instead opting for a more subdued, rounder look. Overall, I think the new Fiesta looks more elegant and grown up. 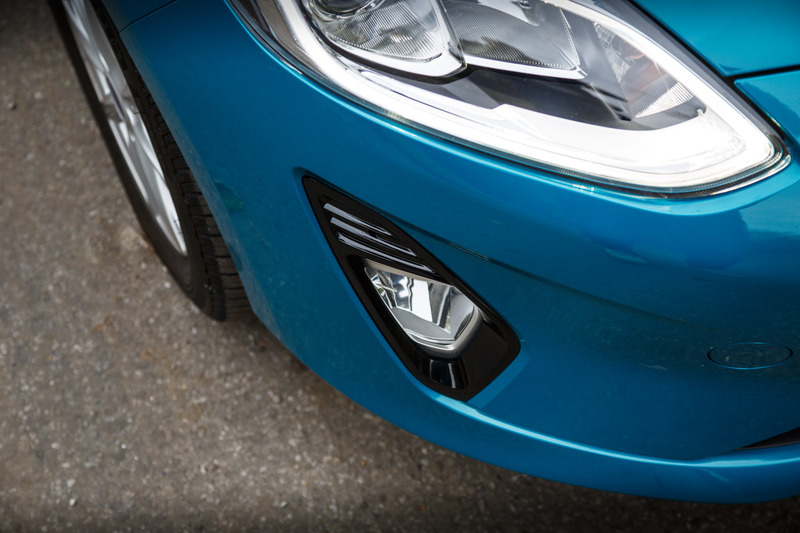 The Fiesta on test was painted in ‘Blue Wave’, a greener, almost teal shade of blue that’s pretty unusual for cars. 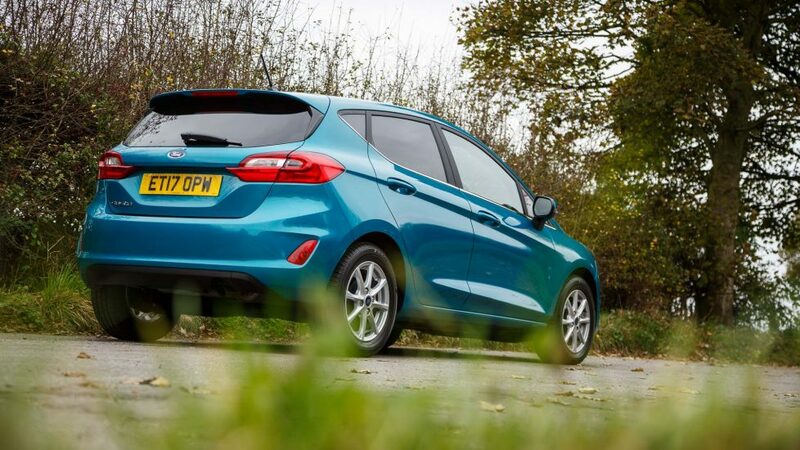 Sitting on 15″ 8-spoke alloys owing to the Zetec trim level, the new Fiesta looks suitably understated. 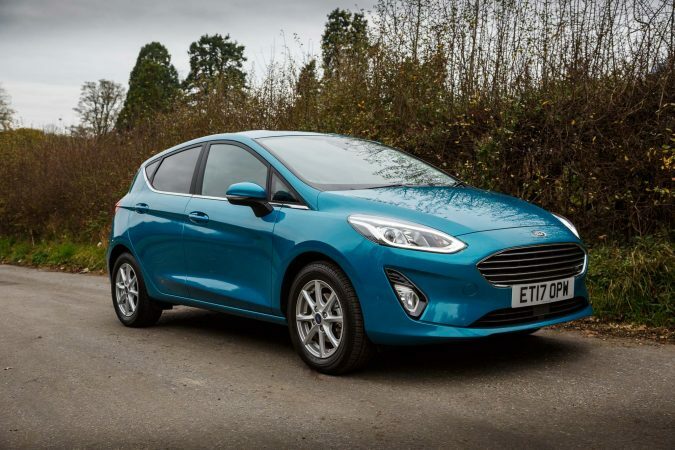 The engine found in the new Fiesta isn’t particularly new, it’s the EcoBoost 1.0-litre turbocharged inline-3 found in the previous model. This one puts out 99 bhp, and 170 Nm of torque, but you can get more powerful variants should you wish for more haste. There’s nothing particularly groundbreaking to find for the transmission as well. It’s the 6-speed manual transmission hooked up to the front wheels. 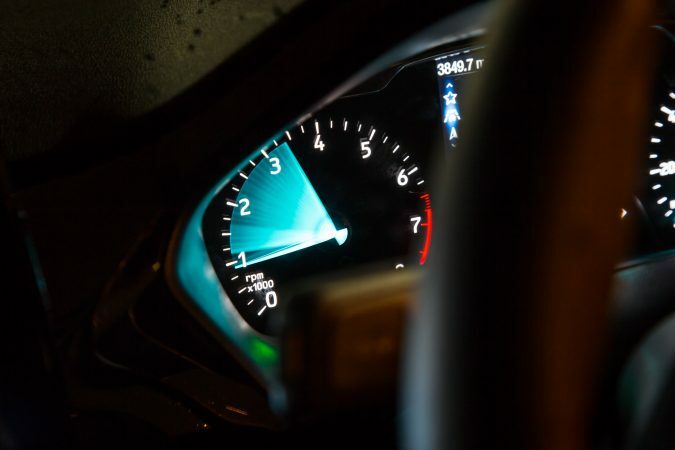 All that propels the new Fiesta from 0-62 mph in 10.5 seconds, onto a top speed of 113 mph. 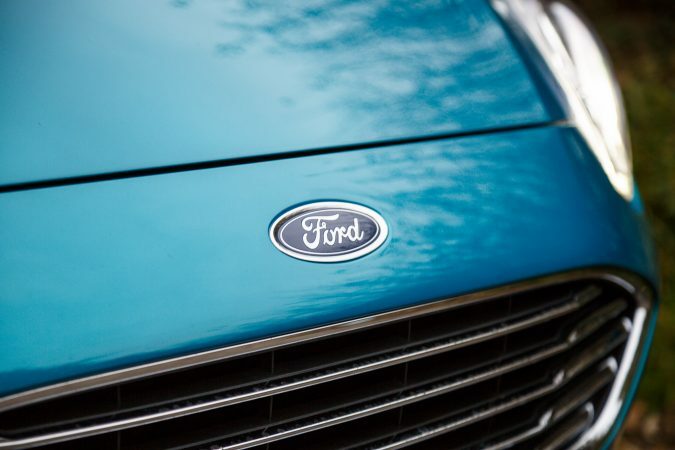 What’s impressive though, is the renowned efficiency of the EcoBoost engine. 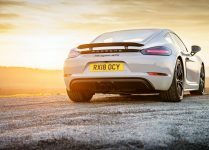 It claims a diesel-like 65.7 mpg combined while putting out just 93 g/km. 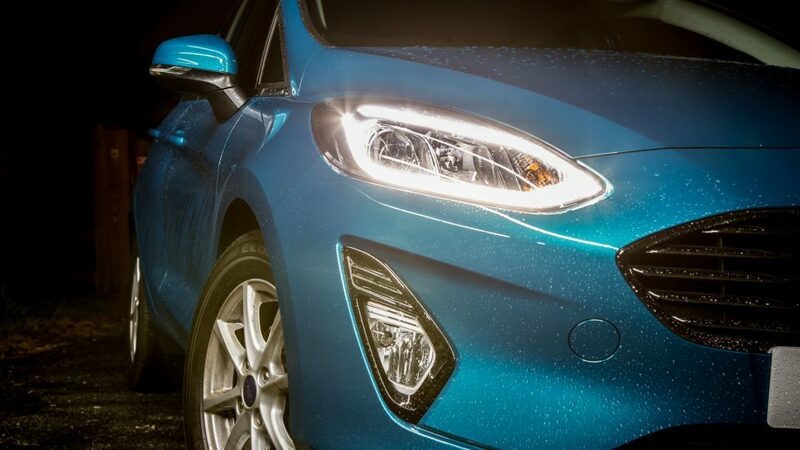 This is where the Fiesta blows everything else out of the water, and any worries that Ford might have messed up in the new Fiesta are unfounded. Sure, the engine is nothing new, but that’s not necessarily a bad thing. ‘Don’t fix what ain’t broke’, they say, and the engine is still going strong. Being a tiny engine, you still need to rev it out to really go, but it emanates a colourful raspy note when you go at it. Certainly one of the best 1.0-litres I’ve heard. Otherwise, the engine is hush, and the cabin noise is minimal. It feels at home on the motorway as well, thanks to the 6 gears that it can choose from. The engine also makes a surprising amount of torque for its size, and makes it from down low. Familiar traits of a small turbo engine. If you opted for the low power variant of this engine, then raw, visceral power and speed isn’t what you’re after anyway. 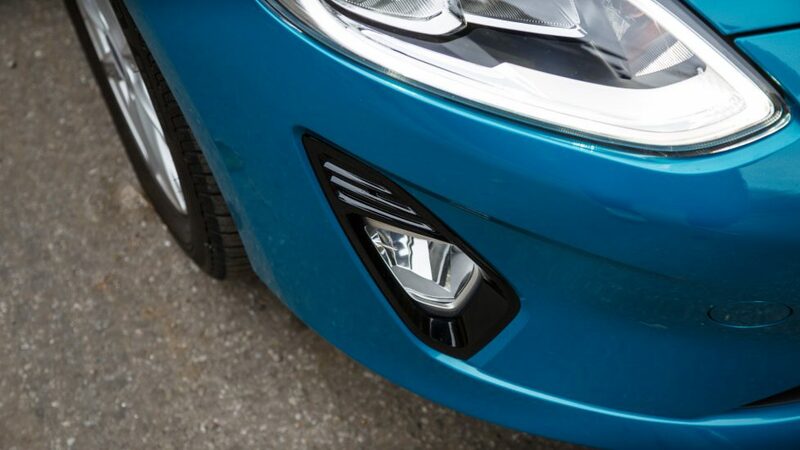 The excellent, almost magical chassis of the Fiesta is what you want, and the new Fiesta provides just that. The Fiesta is best described like a small cat, it pounces from corner to corner, and before you know it, you’re home. 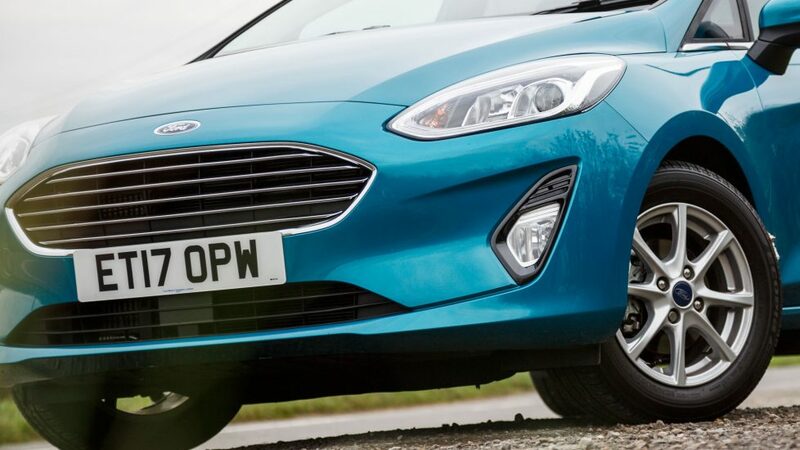 How Ford managed to engineer such a stupendous chassis is a wonder, but the new Fiesta is still every bit as agile and fun as the previous Fiesta. 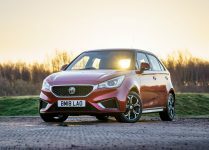 It’s a wonderfully sprightly car, and you just want to entertain it for as long as you can. 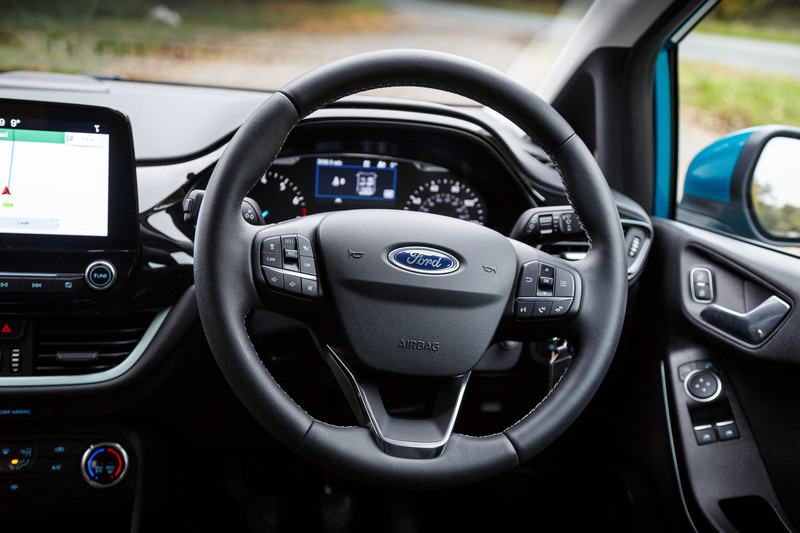 The steering is lighter, but somehow Ford manages to make it communicative and pin-sharp even with it being electronically assisted. This car harks back to the good old days, where you actually drive the car. 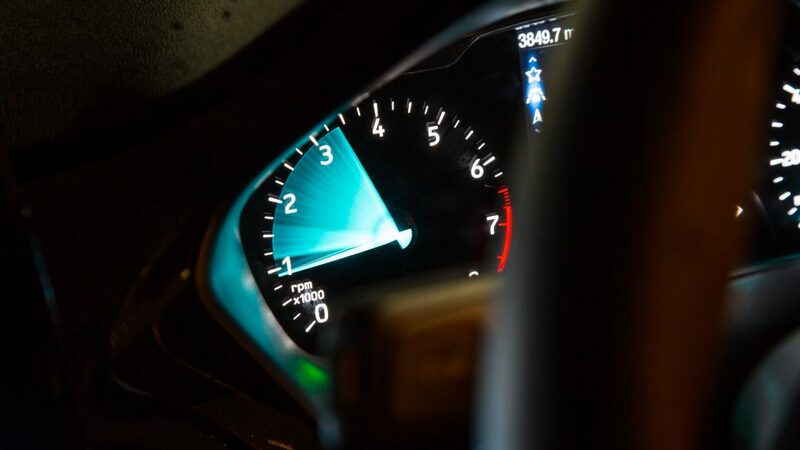 Sure, there are electronic assists to keep you in check, but it’s entirely possible to trim your cornering lines with the throttle and the steering wheel while throwing the gears. 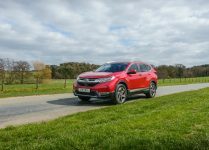 It has plenty of grip in the front wheels as well, and there’s just not enough power for you to overwhelm the tyres and torque steer. 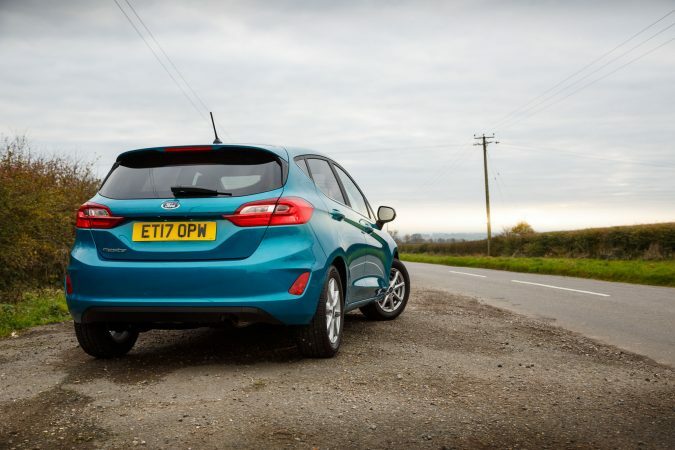 But there’s enough torque for you to toss it around corners and come out flying, and you’ll want to do that in the Fiesta. What’s even more impressive, is the ride. 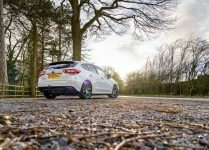 While the Fiesta is an incredibly sharp supermini, somehow Ford manages to keep it civilised on the road. It’s supple, and gently absorbs bumps and keeps the body stable. To keep up with its competition, the Fiesta’s interior has to be up to date, and Ford has put some effort into just that. 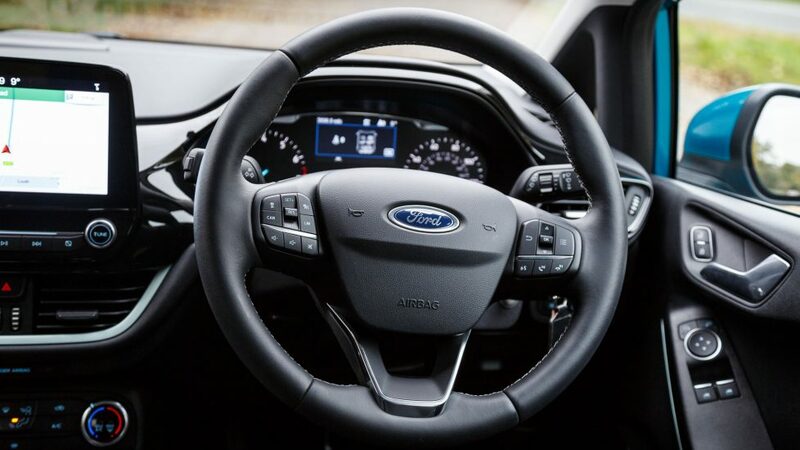 This being the Zetec trim, there is a bit of leather dotted around the interior, and you get the well-regarded Ford SYNC3 infotainment system with a 6.5″ touchscreen hooked up to 6 speakers. 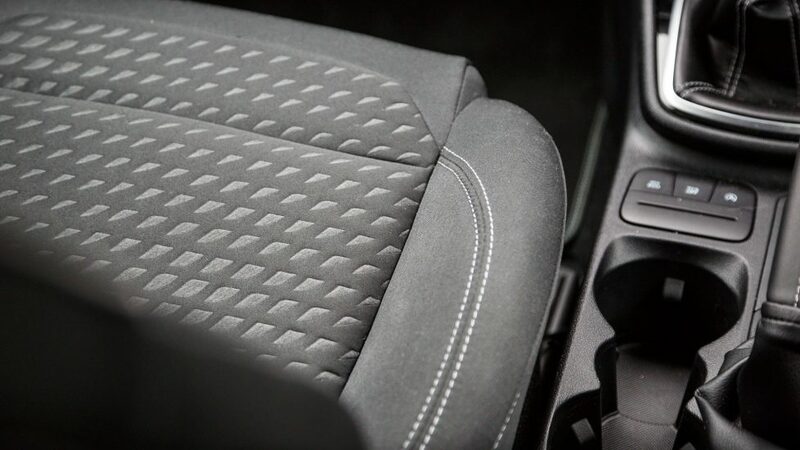 The seats are upholstered with cloth, but at least Ford spices it up with stitching and motif, and it’s comfy to sit on. 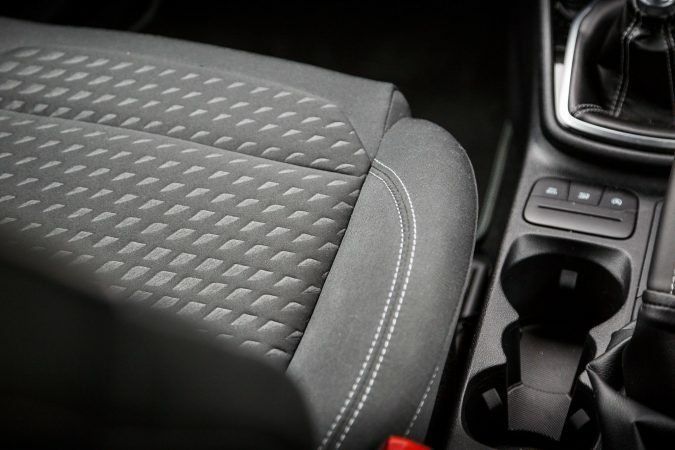 They’ve attempted to make the Fiesta more premium by implementing less buttons, more soft-touch materials, and less harsh plastic. Still, scratchy plastic can still be found throughout the interior, but I applaud the effort spent. There’s quite a bit of kit with the Zetec trim as well, lane keeping assist, adaptive cruise control etc. For a thousand more of your pounds though, and you can expect a larger, 8″ touchscreen with a 10-speaker Bang & Olufsen sound system. It may be worth the money, since the interior is where you’re going to spend your time in. Ford has also managed to pack more space into the Fiesta, but still, it’s a supermini. You can still definitely seat 4 adults comfortably though, so that’s goal achieved. The boot capacity is competitive at 303 litres for the 5-door with the rear seats up, and 984 litres with the rear seats down. Driving the Fiesta, I began to automatically find the nearest B-road to storm. It’s not my inner hooligan bursting out, but the Fiesta is just that enjoyable and amusing to drive around corners. It’s light and nimble, while maintaining a modicum of practicality. More importantly, people won’t be noticing you in your Fiesta, because they’re just so commonplace. It’s a car that I can bring everywhere, the city, the motorway, the country road. For a supermini, I think that’s quite the feat. This is the type of car that you’ll find an excuse to drive more, and you won’t be punished in the wallet for it. 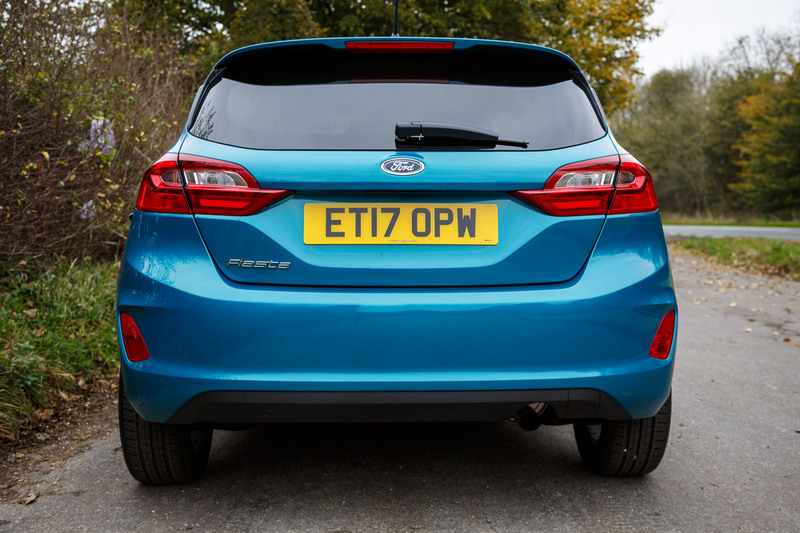 It’s practical, affordable, efficient, and most crucially, a hoot to drive. 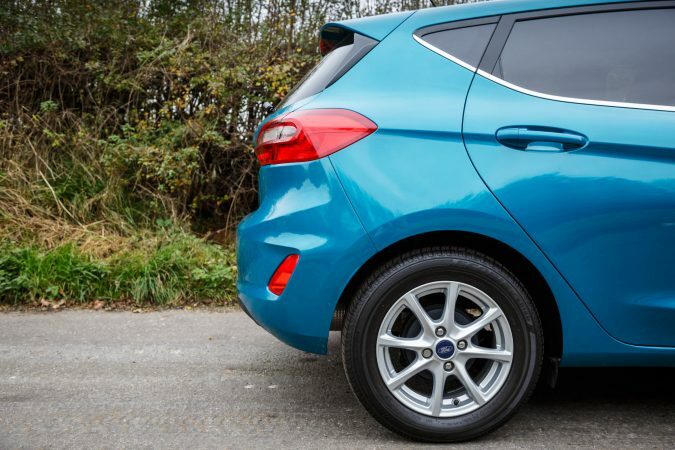 The Fiesta badge is well-deserved, and just from the driving experience, it’s worth the money. 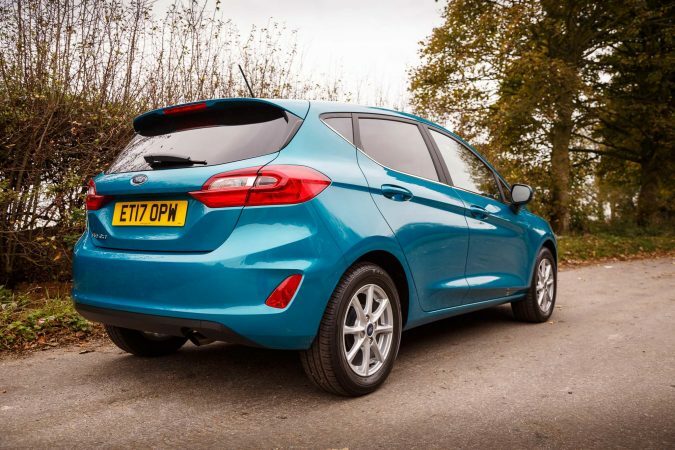 There are a lot of Fiesta trims to choose from, with the Vignale being the range-topper for the non sporty Fiestas. That nets you a lot of extra kit found in luxury cars nowdays, but is also rather expensive for a small car. If the 99 bhp unit doesn’t entice you, then you’d have to step up to the Platinum or ST-Line for the punchier variants. 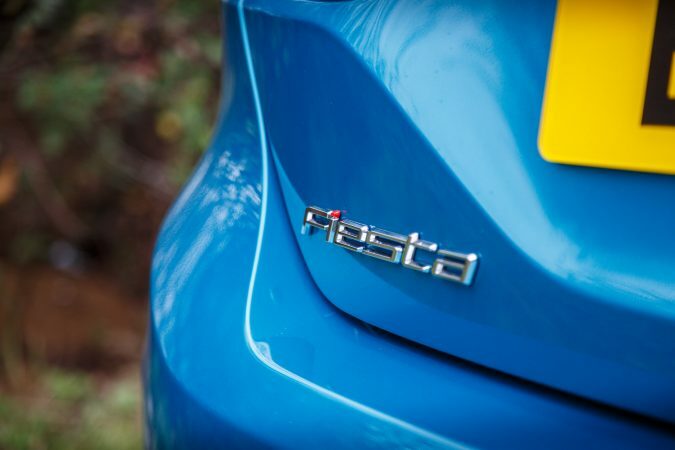 But then again, if you want more power, perhaps wait for the new Fiesta ST.